The 2009 Cabernet Sauvignon opens with enticing scents of raspberry jam, sweet herbs and spices. There is a centeredness and a poise to the 2009 that give the wine its sense of harmony and total balance. Sweet, floral notes reappear on the engaging finish. As good as this is today, it will only be better in another 2-3 years. This is another fabulous effort from Chimney Rock. The blend is 89% Cabernet Sauvignon, 9% Merlot and 2% Cabernet Franc. Anticipated maturity: 2014-2024. 2013 Rose Wines are arriving! Picked as the top Rose of the 2012 Vintage by both The New York Times wine writer Eric Asimov and Decanter Magazine. 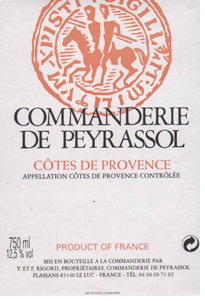 We are very excited to kick of Rose season with the Commanderie de Peyrassol Rosé, why save the best for last? For us, this wine is the classic representation of the pink-tinted wines of this region and is the workhorse wine of the estate. It carries a pale rose color, a lovely fruit blossom nose and finishes crisply dry with a stony touch that gives it class and elegance. The grape blend is usually Cinsault, Grenache and Syrah in varying percentages. The average age of the vines is 25 years or more. The Rosés of Peyrassol are made from the direct press method. The grapes undergo cold maceration before being pressed. This gives them their beautiful watermelon pink color. The fermentation takes place under controlled temperatures and is exceptionally long, resulting in rosés that are both lively, fresh and full-bodied. As production has increased at Peyrassol with the additional plantings, we too have increased our purchases. Assembling a majority Grenache, Clairette , Cinsault Bourboulenc , Picpoul and Carignan, from a vineyard with an average age of forty. This powerful wine with aromas of red fruits, prolongs its freshness tracking elegant and harmonious mouth. Here is a young and modern Tavel to invite as an aperitif ! Alcohol : 13.5 % vol . Mainly vintage hand with the freshness of the morning. Maceration for 6 to 12 hours extract primary aromas of the grapes. Fermentation at 16 ° C allows the yeast to express their perfume of red fruits. This is a bio-dynamically farmed, well run estate owned by Daniel Boulle. Mostly Cinsault (about 60%) and the rest is Grenache in this Cotes du Rhone Rose. Light bodied, pleasant and a nice floral nose. Perfect for St. Louis Spring and Summer weather. It has become more and more rare to find a great Pinot Noir under $20, much less one from Carneros. We recently had the chance to taste with Rich Arnold, head winemaker at Robert Mondavi Winery and were incredibly impressed with the quality and price of the 2012 Robert Mondavi Carneros Pinot Noir. Deliciously true to the variety and terroir the wine is lavishly perfumed and captivating in its elegance. A lovely cascade of aromas: sweet plums and juicy berries, infused with brown sugar, turned earth and warm, exotic spices translates gracefully to the palate. The rich flavors and plush texture are balanced by freshness and cool minerality. Lovely, silken texture with a long, berry and spice finish. “...the tart cherry fruit and clay-like tannins of Carneros, but the brightness of the fruit breaks out of the structure, feeling light and effortless. this Saturday, April 26 from 11am-4pm. I have started a new label "Education" that you can hit to read all the education articles (see the right column under the heading "labels". A Rosé (from French: rosé also known as rosado in Portugal and Spanish-speaking countries or rosato in Italy) is a type of wine that incorporates some of the color from the grape skins, but not enough to qualify it as a red wine. There are 4 main methods for making a rose wine, rather than delve into the history of Rose we are going to focus on the methods of making Rose. 1. Limited Maceration Method: Rosés can be produced in a variety of ways with the most common method being early pressing of red grape varieties after a very short period, usually 12-24 hours, of skin-contact (maceration). During maceration, phenolics such as the anthocyanins and tannins that contribute to color as well as many flavor components are leached from the skins, seeds and any stems left in contact with the must. In addition to adding color and flavor, these phenolics also serve as antioxidants, protecting the wine from degradation of oxygen exposure. While red wines will often have maceration last several days to even several weeks, the very limited maceration of rosés means that these wines will have less stable color, potential flavor components and oxygen protection. 2. Vin Gris Method: Unlike the maceration method which gives some, albeit very brief, time for the juice to be in contact with the skins vin gris are wines made from the immediate pressing of red skin grapes without any maceration time. Despite the name vin gris, the resulting juice is actually not grey but rather a very pale pink that is usually much lighter than traditionally made rosés using the limited maceration and saignee methods. Under French wine laws, wines labeled gris de gris must only be made from lightly tinted grape varieties such as Cinsault, Gamay and Grenache gris. 3. Saignee Method:. The saignee (French for "bleed") method is the practice of removing ("bleeding off") some of the juice from the must in order to more deeply concentrate the phenolics, color and flavor the red wine. The Saignee method is used most often in regions famous for their red wine production, i.e. Burgundy, The Rhone Valley and Bordeaux. 4. Blending Method: This method is used almost exclusively in the production of Rose Champagne. In this method a small amount of still Red Wine is blended back in to the finished Champagne in order to achieve the Rose color. Many producers of Rose Champagne believe this method adds richness and enhances the ageability of their Rose Champagnes. "It’s hard to remember, but as recently as 1978, just two years after Dan and Margaret Duckhorn founded their eponymous winery, Merlot was rarely bottled in California as a varietal wine. The grape was used primarily for blending -- to “soften” Cabernet Sauvignon. 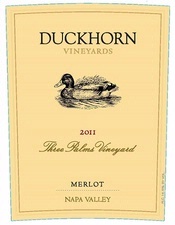 Duckhorn changed that. Their single vineyard bottling from northern Napa Valley’s Three Palms Vineyard showed the heights that this grape, in the right hands, could achieve. The vineyard takes its name from the three palm trees that arise in the middle of this rather warm part of Napa Valley. The 2011 vintage was unusually cool for Napa, which resulted in a spectacular Three Palms Merlot. Wonderfully aromatic, it’s a firm, young wine, with a riveting tension between fruitiness and herbal qualities. The tannins are fine, not aggressive, and provide perfect structure and balance. It expands it the glass, with layers of herbal earthy nuances, not just fruit flavors. Indeed, it’s the non-fruit elements that set this wine apart. This tightly wound wine, which stops you in your tracts now, should evolve beautifully over the next decade, so there’s no rush to pull the cork. 94 Point Syrah at a great price! 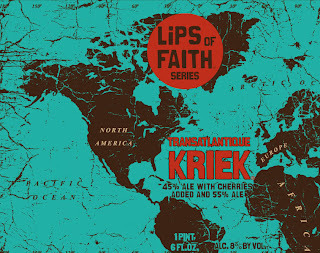 In a never-ending quest to create new beers and defy category, New Belgium Brewing and Brewerij Boon of Belgium have partnered together again to create Transatlantique Kriek - a spontaneously fermented lambic ale made with Polish cherries. This authentic kriek beer began life in the oaken vessels at Frank Boon's brewery in the Lembeek region of Belgium. After more than two years aging, Boon's offering shipped across the Atlantic and found its way to the intuitive palate of New Belgium's Brewmaster Peter Bouckaert. After much sampling and internal consultation, Peter and his brew staff created a full-bodied golden lager to round out the light-bodied kriek. The cherry nose gives way to a pleasingly sour flash across the palate that rolls gently into a slightly sweet finish. Crisp, effervescent carbonation keeps the mouthfeel bright and delightfully tingly. Aroma: Wise cherries with the musty linger of oaken barrels. Mouthfeel: Exciting bursts of champagne-like carbonation, clean refreshing finish. Flavor: This has all the sours: malic (green apple), lactic (sharp), acetic (vinegar), butyric (biley). Real cherry taste up front and a nice complex sourness. Charcoal mellowed, matured in a new white oak barrel and offered only in this small batch. We think you will appreciate how our Tennessee Rye is maturing. Jack Daniel’s Unaged Tennessee Rye is Jeff Arnett’s exploration into the intriguing flavor drawn from premium rye. It's the first time since before Prohibition the Jack Daniel Distillery has used a new grain recipe. Rye has always been part of the Jack Daniel’s Old No. 7 grain bill but it has never been the lead grain until now. When our tasters sampled it after distillation, they said this should not wait to be released. Jack Daniel’s Unaged TN Rye is offered only in a small batch and in limited supply so the majority of the new rye whiskey can mature in Jack Daniel’s barrelhouses for future release. Rogue’s Dead Guy family has a whole new spirit—Dead Guy Whiskey is distilled from the same three malts as Rogue's Platinum medal-winning Dead Guy Ale. Dead Guy Whiskey, ocean-aged by both the Pacific Ocean and nearby Yaquina Bay. Oregon Single Malt Whiskey is plowed, disced, harrowed, seeded, fed, watered, threshed, winnowed, malted, milled, mashed, fermented, distilled, smithed, barrel-aged and bottled by hand. When you grow it, you know it. Rogue Farms Oregon Single Malt Whiskey opens with an attractive aroma of floral honey, peach and mango. Medium-to-full bodied, the aromas slowly transition to lush, ripe fruit and brown spice. Rogue Farms Risk™ Malt; Distillers Yeast & Free Range Coastal Water. Pink Spruce Gin is Rogue’s Platinum award-winning Spruce Gin aged in Oregon Pinot Noir barrels for 4 – 6 months. Pink Spruce Gin, with a slightly more robust body and mouth-feel, highlights the best of Spruce Gin’s already fruity esters and adds smooth, yet restrained flavors of vanilla, oak and tannins. Spruce, Juniper Berries, Ginger, Fresh Cucumber, Orris Root, Orange Peel, Lemon Peel, Tangerine, Grains of Paradise, Angelica Root & Coriander & Free Range Coastal Water. Big sale on wine and beer! that we are ready to move. 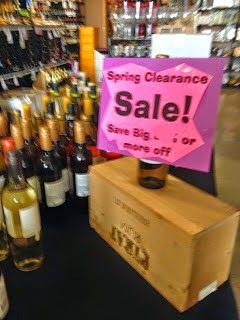 Stop by Forsyth now - we have a Spring Clearance on wine and beer! Missouri State law does not allow us to post how much you will save. But you will not want to miss these savings! Check out the wine at the front table when you walk into the store. A sumptuous nose of bright plum, cherry, rose petal, mulberry and walnut introduces an enticing wine that sets the taste buds firing. The palate is layered and lush, expressing undulating waves of red fruit woven together by a rich mid-palate and vibrant acidity. 7% Cabernet Sauvignon from our volcanic Rim Rock block and our rocky Quartz Hill block were blended in to add depth and structure to the wine. While we often describe our Merlot as a "Cab lover's Merlot," the 2011 demonstrates what makes Merlot so lovely and special as a varietal wine – concentration, smooth but full texture, finesse and that elusive X factor that we think of as "lusciousness." Enjoy! 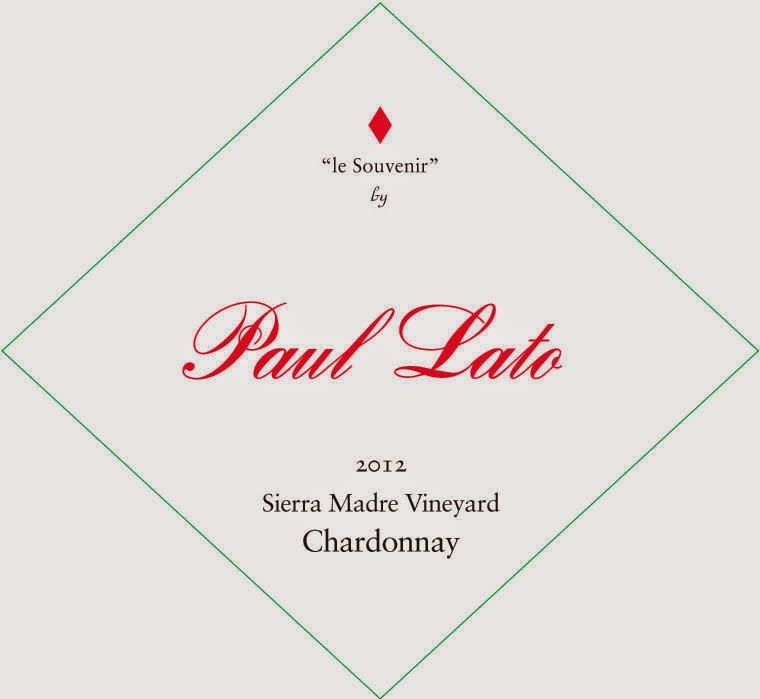 Light straw color, aromas of apple blossoms, citrus and peaches. On the palate flavors of nectarine, apricot, citrus and a touch of minerality allow this wine to be enjoyed by the glass or with a variety of multi-national cuisine. The wine is made in a dry style with subtle nuances of flowery Riesling character that highlight the multiple fruit flavors. "The best Eroicas glide across the palate with a drive informed by lime zest and apple, all held by a mineral tether. 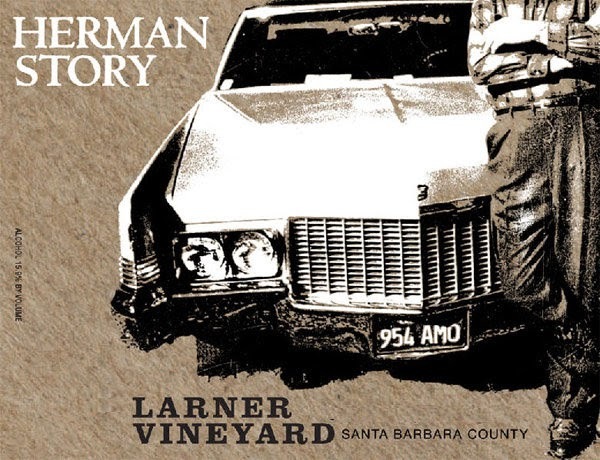 This 2012 by contrast, while not lacking for energy, lingers beautifully, its scents going more the route of grapefruit and apple, the flavors weightier, the hint of petrol giving the wine intensity, length, even gravitas." 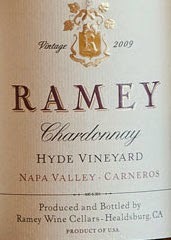 The 2009 Chardonnay Hyde Vineyard is another of the wines that emphasizes textural depth and body. 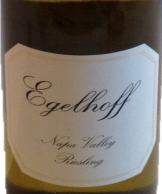 This is a relatively plush, rich Chardonnay endowed with considerable volume in its apricot and tangerine fruit. The aromas and flavors move towards the more tropical end of the spectrum, but without fully reaching that level of exoticness. Readers who appreciate a more full-bodied style of Chardonnay will love the Hyde. I especially like the way the wine turns delicate with time in the glass. Anticipated maturity: 2012-2019. Do not miss these limited releases, I would not recommending waiting until the scores come out! 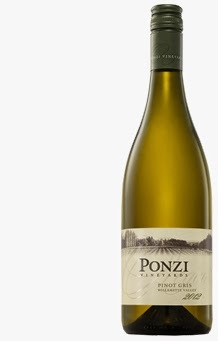 20-year-old Wente clone vines provide the foundation of this classic Chardonnay. An aroma of alpine flowers rise through mineral notes of broken stone and granite. The palate is velvety and generous but is light on its feet with a zesty, refreshing acidity, with a touch of vanilla and a long finish. Succulent and fresh. 65% New French oak yet the oak is nuanced. Intense framboise notes on the nose announce this powerful yet refined Pinot Noir. Deep, ruby-red color in the glass,and the palate is warm, rich, and textured. There is tannic strength here, but it is the dark cherry and raspberry notes that linger pleasurably in the mouth. Like many of the 2012 wines, I believe this vintage is the best yet of “Seabiscuit.” Muscle and volume meet a generous heart. Highly aromatic, with fresh-picked raspberries on the nose and secondary notes of vanilla bean and bing cherry. Complex, medium-bodied, and balanced, this blend of 667, 777, and Calera reflects with Burgundian precision the sandy soils and cool temperatures of the Santa Rita Hills. Formerly “known as” Alegria, this is probably the best we have ever made from this vineyard. A Charmer. Ransom Gin is back in stock! 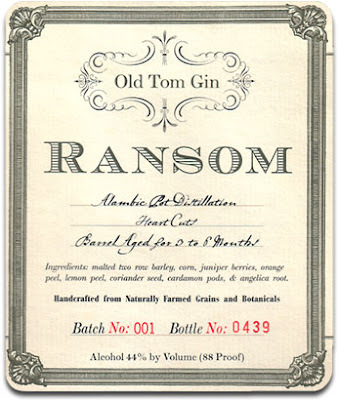 This Old Tom Gin is a historically accurate revival of the predominant Gin in fashion during the mid 1800's and the golden age of American cocktails. The recipe was developed in collaboration with historian, author, and mixologist extraordinaire David Wondrich. Old Tom is the Gin for mixing classic cocktails dating from the days before prohibition. It's subtle maltiness is the result of using a base wort of malted barley, combined with an infusion of botanicals in high proof corn spirits. The final distilation is run through an alambic pot still in order to preserve the maximum amount of aromatics, flavor and body. Only the "heart of the hearts" (the very best portion of distillate) is retained for this special bottling. An Oregon spirit handmade in small-pot batches using naturally-farmed and wild-grown botanicals. Intensely aromatic from a complex infusion of Juniper, orange, lemon, coriander, cardamom, angelica, caraway, star anise, and respberry. 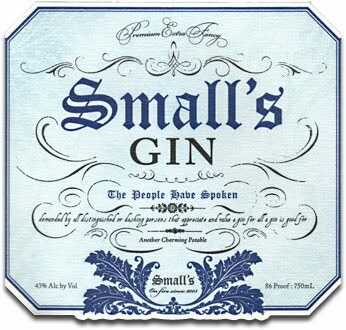 Small's gin brings together a combination of recipes from the 19th century with obsessive distillation techniques and the finest regional ingredients. The best of tradition, dedication to quality and innovation come together to create a remarkable, elaborate and unrivaled spirit. This is the only bona fide mint julep product that is made with 100% natural spearmint leaves. We have a special process to infuse the mint into the spirit and get that classic fresh mint flavor. This product is best enjoyed chilled and poured over crushed ice with a sprig of mint. Early Times Mint Julep Cocktail is a ready-to-serve beverage that has been “The Official Drink of the Kentucky Derby® for over 20 years. Each year almost 120,000 Early Times Mint Juleps are served over the two-day period of the Kentucky Oaks® and Kentucky Derby® – a feat that requires over 10,000 bottles of Early Times Mint Julep Ready-to-Serve Cocktail, 1,000 pounds of freshly harvested mint and 60,000 pounds of ice. Try one and you’ll understand why we’ve been a Kentucky Derby tradition for so long. Stone Smoked Porter w/ Chipotle Peppers is a thing of spicy glory, with the just-right heat of smoked jalapeños (aka chipotles) that combines beautifully with the beer’s peat-smoked malt and roasty character. The idea came about in 2006 when Merchandise Manager Chris Carroll suggested we make a special "South of the Border Stone Smoked Porter" for Cinco de Mayo that year. One sip, and we were hooked! Reserva 44 is the most exceptional extra añejo tequila in the world. Crafting Avión Reserva 44 starts with slow roasting select batches of Avión Agave in brick ovens for 72 hours. The liquid is then small batch distilled and undergoes Avión’s proprietary ultra-slow filtration method. Finally, the special liquid rests for 43 months in oak barrels and is then aged for an additional month in specially selected petite barrels (rotated daily). Avión Reserva 44 is hand bottled in extremely limited batches and carefully filled into a fire-polished, luxurious crystal bottle. Avión Reserva 44 is a spirit that even the most demanding tequila connoisseurs and single malt scotch drinkers will fully appreciate. Our Sauvignon Blanc is quintessentially Californian, with a beautiful ripeness balanced with wonderful structure and acidity. 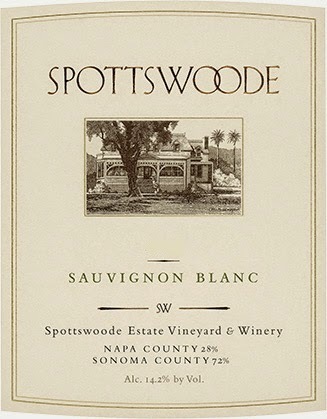 Grapes from a handful of carefully selected vineyards join our Spottswoode Estate fruit in the composition of this wine, a blend of Sauvignon Blanc and Sauvignon Musque. Our method of fermentation—using a combination of small stainless barrels, French oak and concrete, egg-shaped cuves—means that we manage up to 100 individual fermentations each year. This technique results in a complex, rich, and vibrant wine that stands well on its own, pairs beautifully with food, and is further enhanced with a bit of cellaring. Because our production is small, national availability is limited. The 2010 Merlot reveals lots of cocoa, chocolate, Asian plum sauce and black cherry liqueur notes in its dense, ripe, full-bodied, silky, hedonistic personality. It is hard to argue with this voluptuous, seductive California Merlot. Drink it over the next decades. Foley is one of the more interesting winemakers in Napa Valley. I first met Robert Foley years ago when he was making the wines at Pride Vineyards, and his wines never lack intensity, always delivering high quality as well as abundant fruit.